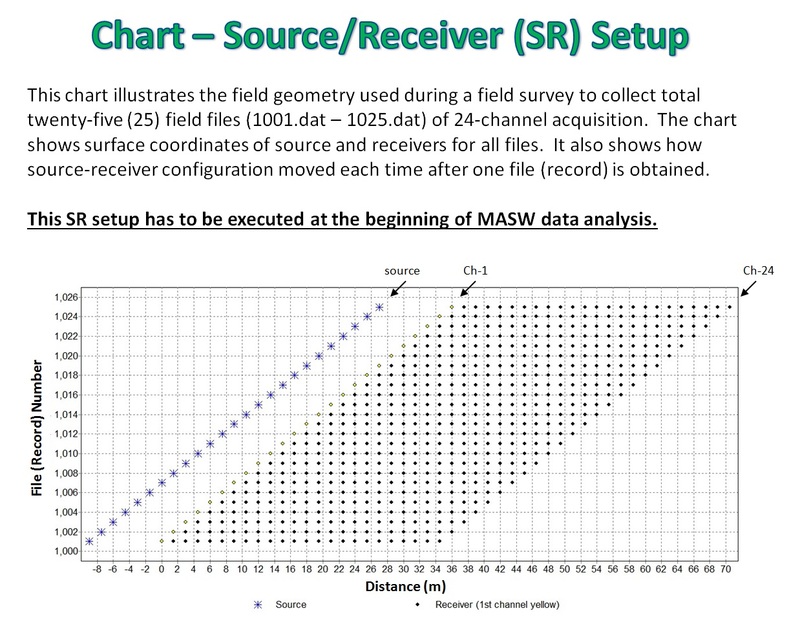 Those characteristics of MASW software are discussed here that are critical to the reliability of final product of shear-wave velocity (Vs) profiles. may be included for more advanced handling of surface wave data. Different software may adopt slightly different algorithms in dispersion and inversion analyses. ability to discriminate different modes of plane waves that may include both body and surface waves travelling horizontally along the surface. less reliable than those from the traditional fundamental-mode (M0) inversion method. This is further illustrated in this video (after 3:40 time mark). common near-surface settings (e.g., overburden and bedrock), and can provide a 1st-degree approximation of other more complex settings. how non-uniqueness of inversion process is handled. empirical experiments using diverse data sets. modifications, and bug fixes incorporated in this version of ParkSEIS are explained here. of the software features is presented here. More technical details of the software can be found online. Overall features of ParkSEIS are introduced in this video.